For many going to Graceland is much more than a Paul Simon song - it is a pilgrimage. The hallowed place is where the legacy and life of the still incredibly beloved Elvis Presley is preserved for fans of all ages. People from around the world travel to Memphis, Tennessee to see, hear and learn more about this cultural icon who is widely regarded as the "King of Rock and Roll" or simply "The King". Graceland was a house fit for a King. Elvis Aaron Presley was born January 8, 1935 in a two room shack in Tupelo, Mississippi. Searching for better opportunities, his family moved to Memphis when he was only 13. There, Presley met producer Sam Phillips of Sun Records who record Elvis' first songs. Soon after Elvis' manager Colonel Tom Parker got Presley on the bigger RCA label. Presley's first RCA single, "Heartbreak Hotel", was released in January 1956 and became a number-one hit in the US. Triumphant TV appearances along with more chart topping records put Elvis at the forefront of a new popular sound called rock and roll. His provocative performance style combined with a potent mix of musical influences that crossed color lines during the Civil Rights movement made Elvis a controversial star. Elvis also enjoyed enormous success in movies and even a two year break to serve his country did not slow down Presley's popularity. Sadly, years of prescription drug abuse severely compromised his health and on August 18, 1977, The King died at his Graceland estate at the age of 42. 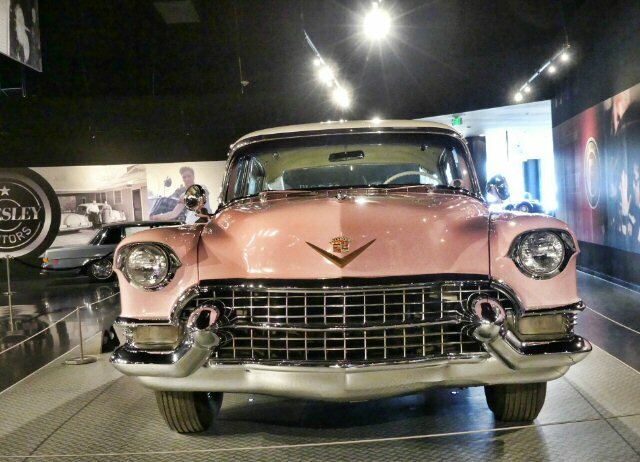 Many of the priceless Presley vehicles were on display including his airplanes and this Pink Cadillac. Presley is one of the most celebrated and influential musicians of the 20th century. Elvis was commercially successful in blues, country, gospel, pop and rock. Elvis has been inducted into multiple music hall of fames and he is the recipient of three Grammys - interestingly all three were for spiritual not rock songs. Those gold statues are some of the many artifacts at Graceland. Graceland is an expansive Elvis extravaganza so allow plenty of time to take it all in. The Memphis landmark offers various packages from the house only to VIP tours. For many the Mansion is the most sacred spot. It was the home that Presley purchased so that his parents could stay with him. It was a place for Elvis to relax and play. Pilgrims will see Elvis' living, media and pool rooms along with his outdoor pool and the racquetball building. The family also had horses so it appears that the home was a fun place to retreat to. As you might imagine the d�cor at Graceland is elaborate fitting for a King. 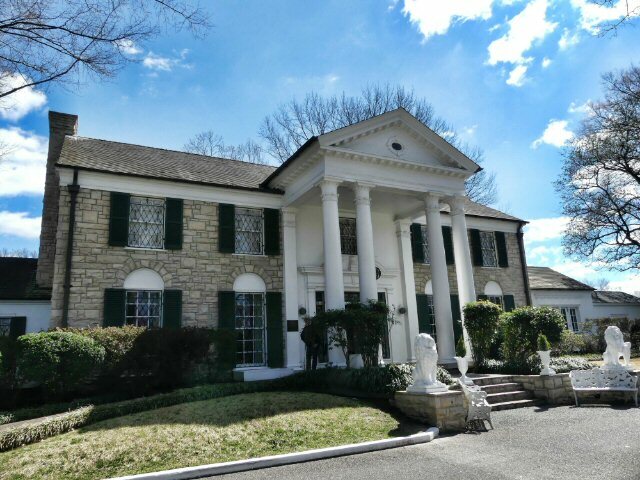 Across the street from Graceland is an extensive Elvis complex where followers can explore comprehensive exhibits. 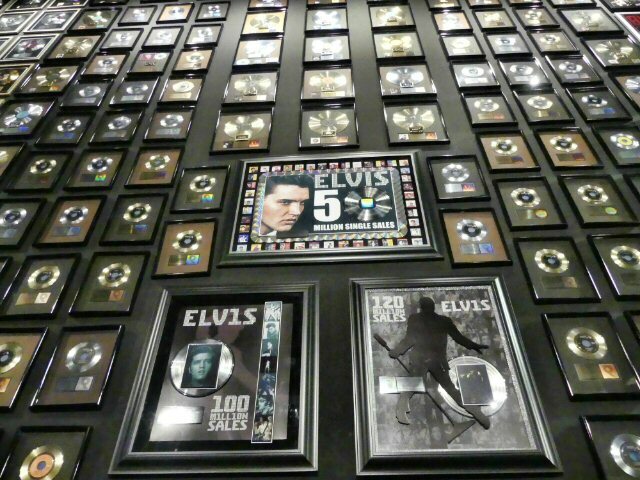 In the Elvis The Entertainer Career Museum fans are reminded of Elvis' achievements that include a wall of gold and platinum records along with movie posters mixed in with jeweled jumpsuits. Each exhibit has a theme that is further explained through informative placards along with interactive tools such as audio and videos with many flowing into themed gift shops. 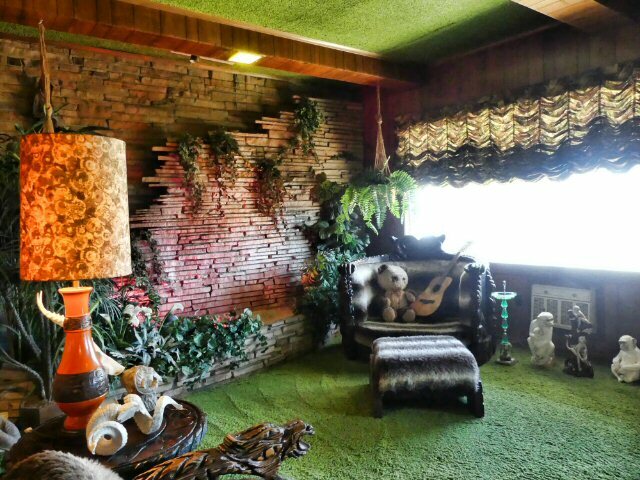 It's true - you can visit the Jungle Room on your trip to Memphis. Archives Experience allows folks to survey artifacts from Graceland's vast collection. Private Presley focuses on the years (1958-1960) when Elvis was in the army. In the ICONS room - commentary and images of other celebrities share how they were influenced by The King. Lisa Marie Growing Up Presley cites some of Lisa's experiences - not easy being the only child of this legend. Elvis' Tupelo shows his humble start which is a stark contrast to the lavish lifestyle of his later years as demonstrated in the auto and plane sections of the museum. The Hollywood Backlot paired with The Sam Phillips Story shines light on that important early part of Elvis' career. The songs of Elvis came from many sources therefore Marty Stuart's Hillbilly Rock traces the roots of the music that impacted The King. Graceland is an immersive experience for pilgrims to explore both the personal and professional side of Elvis. Some of the many things we learned was that his favorite color was blue and he was an avid reader. Presley was groundbreaking in so many ways including the fact that his live performances were one of the first concerts to be televised by satellite thus reaching a worldwide audience. Going to Graceland gave us a much a greater appreciation of Elvis as a performer but also as a person who was known for his generosity and kindness. We highly recommend that you too make the trek to west Tennessee, just north of the Mississippi border, where the life and the legend of The King converge. This historic musical King had plenty of gold and silver to his name.